City Mouse/Country Mouse: What the....??? Something really out of place! The Byward Market is right smack in the middle of downtown Ottawa, full of buildings and people and cars and shops and restaurants. So you can imagine my surprise the other day when I was walking down Clarence Street - one of the busiest restaurant areas in the city with a whole row of outdoor patios - and saw a very unlikely pedestrian waddling along. 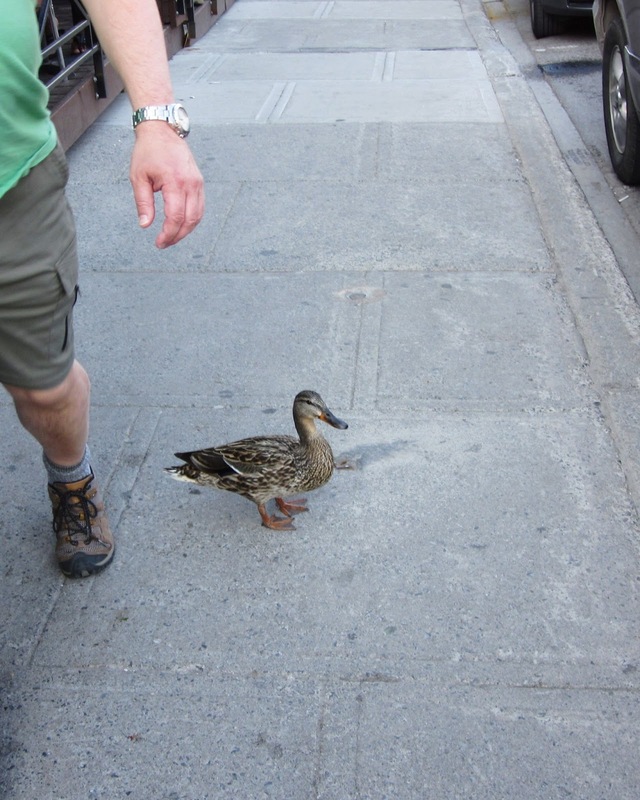 A female mallard, in the middle of the city, hanging out on the sidewalk! Wild creatures just do not show up around here so she seemed very, very out of place. 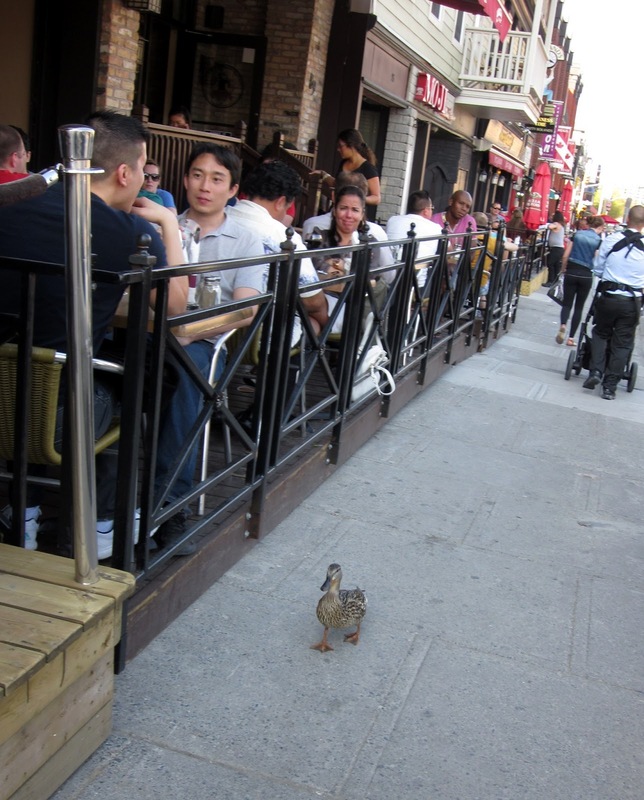 Many people were amused and stopped to look at her but most just walked past her and left her alone. She seemed unconcerned by all the activity around her. I wonder what she was doing there, how she got there, if she was lost, and I really hope she was all right after I left. Poor thing! I hope it wasn't injured. Cute photos, though. Very strange but who knows. There's lotsa water around Ottawa and maybe she was just out for lunch.